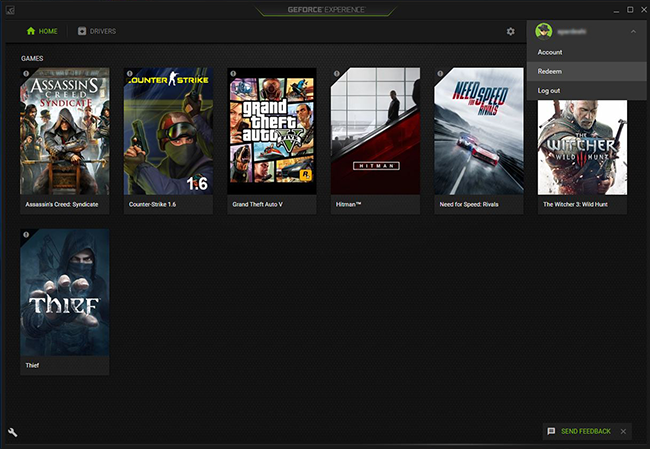 Install your qualified graphics card and update or install the latest version of GeForce Experience [Here]. 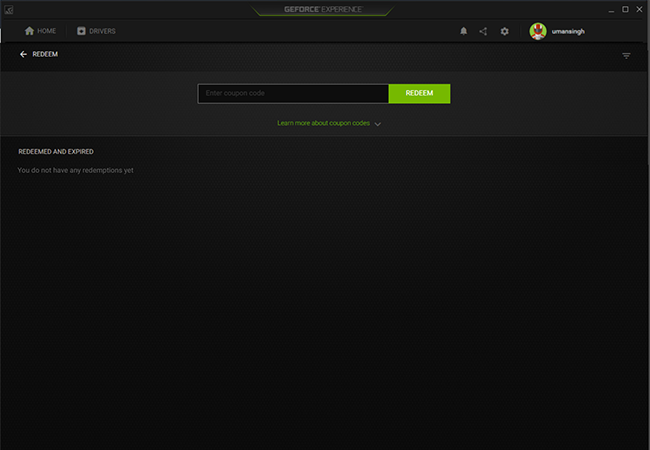 Open and login to GeForce Experience (Version 3.2.2 or higher). 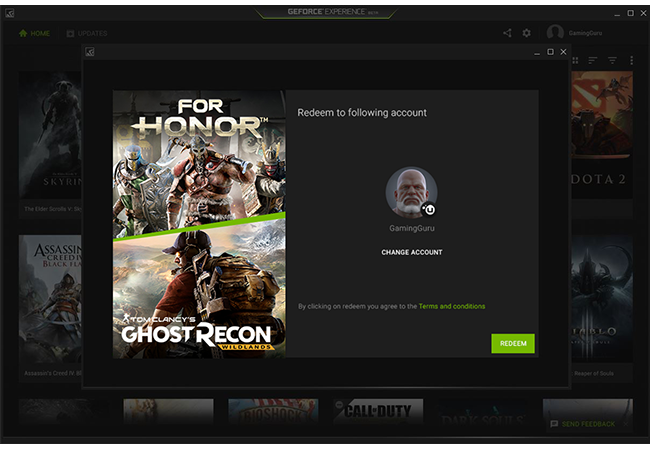 Go to the Account drop-down menu and click REDEEM. Paste your coupon code from your qualifying bundle purchase and click on REDEEM. 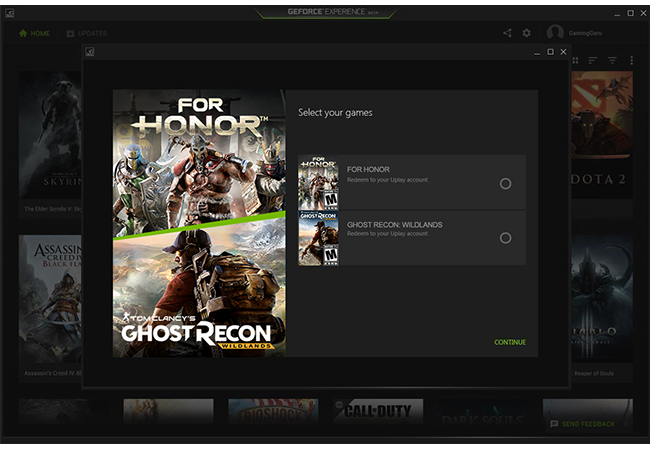 Select game of choice and click CONTINUE. Log into your Uplay Account. 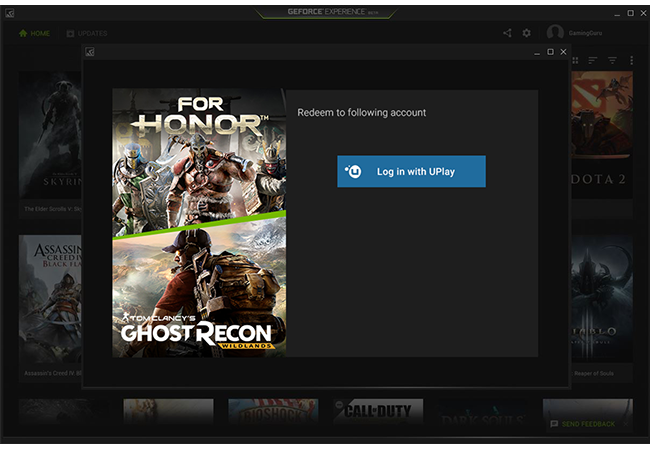 Select user account and click REDEEM. Congratulations! You have successfully redeemed your content. 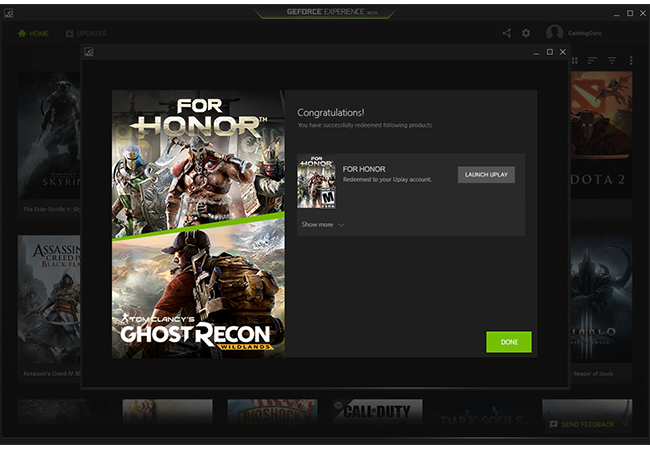 Launch your Uplay PC Client to download your game! For troubleshooting help, please visit the Nvidia Redemption FAQ [Here]. If you are still experiencing problems please contact the Nvidia Customer Support Team [Here].